Today is World Down Syndrome Day! WDSD is a day to celebrate and raise awareness for individuals with Down Syndrome. The “Lots of Socks” campaign asks that you wear mismatched socks, brightly colored socks or clothing, anything that will get people to ask you about it so that you can share information about Down Syndrome. Raising awareness is key to helping promote inclusion and lifting the stigma of “disability” in our society. Awareness also leads to funding and research opportunities to help the Down Syndrome community and the medical issues that they face each and every day. Down Syndrome, also known as Trisomy-21, is a genetic condition, which occurs in about 1 in 830 newborns, that results from an individual having three copies of the 21st chromosome in each cell instead of the usual two copies. The genetic abnormality happens at conception and is not the result of anything either parent did during the pregnancy. Down Syndrome is likely one of the conditions the general public most commonly associates with individuals who have special needs. Individuals with Down Syndrome often share common facial features, hypotonia (low muscle tone) in infancy, and intellectual disability. There are a number of other health concerns that often occur which include: congenital heart defects (often requiring surgical repair), gastroesophageal reflux, hearing and vision problems, and global developmental delays. A diagnosis of Down Syndrome is typically made at birth or shortly thereafter. With the advancements in research and how common DS now is, the diagnosis is usually made clinically based on physical characteristics. The diagnosis can then be confirmed through a blood test, which looks at the specific genetic abnormality. Sometimes, a prenatal diagnosis can be made during the routine screening performed by an OB/GYN through blood tests, ultrasound, amniocentesis, or other diagnostic tests available. There is no way to predict the future and every individual with Down Syndrome is different. Although there is a vast array of experiences, an overwhelming majority of individuals with Down Syndrome can go on to live full and happy lives with support of their families. Specialized medical care is essential in the early years to promote development and monitor medical complications. Many families will report the most difficulties with their child occurred in the infancy years and eventually stabilized before the child entered school. The struggles will be present throughout an individual’s life, but they won’t always be as trying as they were in the very beginning. Despite the struggles, the journey can be beautiful and rewarding. This is a powerful video response from the Italian Association for Down Syndrome to a mother who asked what kind of life her child would have. Early therapeutic intervention is essential for children with any genetic condition that hinders growth and development. Therapy plans may include Physical Therapy, Occupational Therapy, Speech Therapy, and alternative therapies like Music Therapy and Hippotherapy. Physical Therapy can be started very early on to help with the weak muscle tone many individuals experience. PT will help build those muscles and nurture the child’s ability to achieve developmental milestones. Occupational Therapy is often introduced to help with fine motor and self-help skills like feeding, dressing, and natural play. Speech Therapy can help with language development as individuals with Down Syndrome are often slower to develop speech and can be difficult to understand. Speech therapy can help this process. Alternative therapies include Music Therapy, which is known to help facilitate language through music, and Hippotherapy , which is the use of therapeutic horseback riding to encourage motor development and language. The amount of time therapy is required varies for many, but therapists usually work with children well into adolescence to ensure they have achieved all developmental milestones. What resources are available to my family? 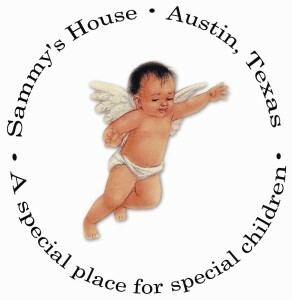 Austin has a fantastic resource, as the Down Syndrome Association of Central Texas is located in our city. DSACT provides New Parent Support,year-round programs for children with Down Syndrome and their families, and a variety of other programs. Visit dsact.com to join and see upcoming events. DSACT is also participating in Amplify Austin, a 24-hour donation spree that aims to raise $4 million for local non-profits! To support World Down Syndrome Day, consider giving a donation to DSACT so that they can help more families in our area. Respite care offers temporary care of individuals with disabilities or complex medical needs, which provides usual caregivers with temporary relief of duties. Caregivers can use respite care to allow themselves the opportunity to take a class, go to a movie, run errands, go grocery shopping, or enjoy any activity, while knowing their family member is being cared for properly. Caregivers of children with special needs often face what is known as “Caregiver Burnout.” Stress and anxiety of handling a strenuous care schedule day-in and day-out can take a toll physically and emotionally. Respite care is designed to help relieve that stress by allowing the caregiver time for his/her self to tend to their own needs. A respite provider can be a family member, friend, nurse, or other skilled professional. There are often community programs that offer respite care opportunities and provide fun, safe activities for children with special needs while giving the caregivers a break. Check with your local churches, community centers, and “mother’s day out” programs to see if they offer respite care. 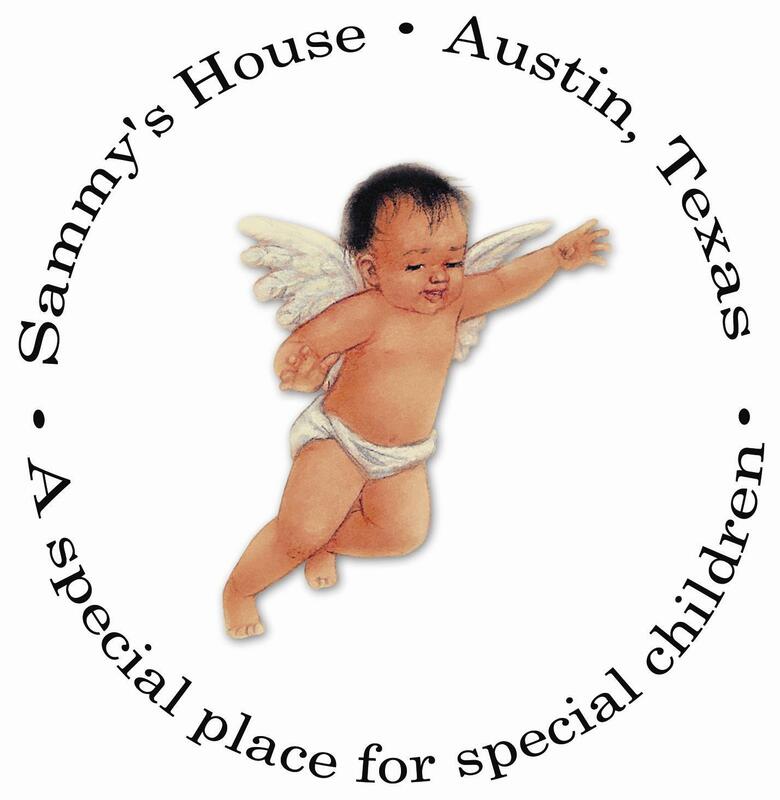 Below you will find some respite opportunities for the Austin area coming up in March. Many of these organizations have monthly respite programs. If you need a break, please do not hesitate to take advantage of these programs! The purpose of this Camp Grace event is to serve families by providing respite for parents and caregivers who have children or young adults with special needs. Parents and caregivers, this is an opportunity for you to take an evening and have fun out on the town or just relax! Parents, we will be providing popcorn and lemonade or water for your children during this time. You may, also, pack a “to go” dinner for your child(ren), if your child will not have already eaten. We’ll take care of the snacks! 7pm – 9pm: Play Time! Each camper with special needs will be assigned a “pal” to assist with transitions and ensure safety and enjoyment during his/her time with us. * Gymnasium – a camper favorite! Balls, scooters, hoops, lots of space to run and expend energy! * Crafts Room – for those who like to show their creative side! * Costumes – let’s dress up!! * Quiet Room – Shhh…this is a room to get away from all the activity. Camp Grace is FREE, but spots are limited, so please RSVP as soon as possible to reserve your place! Once all the spots are filled, a waiting list will begin. If you are on the waiting list, I will notify to let you know you are on the list, as well as to let you know when we have an opening. IMPORTANT!!!! I know we ask this every time, but we need to know if your child needs extra assistance with any challenging behaviors (for example, elopement, aggression, etc). We will NOT turn your child away due to any challenging behaviors. We have trained volunteers ready to serve you and your children. We just need to know for the sake of everyone’s safety and enjoyment. I cannot stress this enough. Thank you for your cooperation on this matter. If you have any questions regarding this event or other Camp Grace events, feel free to contact Rebecca at campgracefefc@gmail.com. If you would like to include your phone number in your email, Rebecca will personally contact you so we can chat in person. Camp Grace is held at First Evangelical Free Church, visit website here. As we learn of new respite programs, we will share them here or on our Facebook page. Disclaimer: Growing Places Therapy Services does not have any direct affiliation with the above programs. Our goal is to simply provide information about respite programs regardless of religious affiliations. A prescription for physical, occupational, or speech therapy is like a prescription for antibiotics—you can have it filled wherever you choose. Unlike a medication, however, the therapist you choose will have an ongoing relationship with you and your child that your child may benefit from for years to come. You should choose carefully. Interview therapists and assess therapeutic settings to determine what will be the best fit for your whole family, as well as for your child. * Is language a barrier? Are translators available, if needed? * Does your child’s doctor have a good relationship with the therapist? * Are they open to consulting with other therapists if you ask? * Do they have mentors available who have expertise in niche areas? * Consider how your child learns best. What motivates him or her? Will your therapist be able to tap into those motivators in their current therapy setting? If you are considering going to an outpatient therapy clinic, visit the clinic first. * Do the therapists look happy to be there and not pressed for time? * Do you and your child get a good feeling when you walk in? You may be there frequently, so your comfort level as well as your child’s is very important. * Is the waiting room kid-friendly? How about for siblings who may have to wait? * Do they have appointments available when you will need them? * Is the office staff helpful? * Is there a lengthy wait-list to begin therapy? * Do bright lights or sounds irritate your child? * Does he enjoy the social interaction of a therapy gym, or would he do better in his own familiar setting? You will be able to tell if it is a good match after the first few visits, if not right away. * Do you get a good feeling from them? * Can they describe for you what one of their therapy sessions would look like? * Do they have references? * How about their schedule and flexibility? * Do they feel they can motivate your child within his familiar surroundings? * Is enabling your child to access his own home or neighborhood for independent exploration one of your goals? * Is your child medically fragile or difficult to transport to outpatient visits? * Would a therapist coming to you best fit the lifestyle of your family? Every child is different and what works best for them may change over time. * Ask if the therapist is open to treating your child in a variety of settings. Choosing your child’s therapist is one of the most important decisions you can make for him or her. There are many talented therapists out there, but will your therapist have the freedom to work with your child using his talents to the fullest? Will your child be motivated to push himself by the skills your therapist possesses? Good communication, good listening skills, a supportive physical environment, and good rapport with your child are critical components to forming a successful therapeutic relationship. Take the time to explore, interview, and trust your instincts. Exercise your right to take your prescription wherever you choose, and know that you have many options. Doug Levine, MPT, is the Owner of Growing Places Therapy Services, located in Austin, Texas. Doug, though originally from New York, made it to Texas as fast as he could. He graduated from the University of Texas with Honors in 1994, and completed his Master of Science degree in Physical Therapy at Texas Woman’s University in Houston in 1997. Doug has worked in various settings as a traveling therapist, but found his niche and true love in pediatric therapy where he has spent his career for the past 14 years. Doug’s special interests and skills include wheelchair seating for maximum functionality and making therapy fun for kids. He loves to hike, camp, climb things, run, and bike, and is up for any physical challenge. Fortunately, his enthusiasm and confidence often bring out the same in others. He and his wife, Stephanie, also a physical therapist, live in Austin with their three children, two dogs, and turtle.